According to the American College of Sports Medicine, by the year 2030, there will be a increasing demand for senior healthcare as the number of individuals in the United States 65 years and over will reach 70 million, and people 85 years and older will be the fastest growing segment of the population. That was part of a conversation I had with my mother when visiting her in a nursing home shortly before her death. She spoke these words calmly and without anger. She was proud of the fact that she lived to be 90, and had managed to extend her healthy active years, and shorten the time of failing health. She was widowed at age 56, lived independently for the most part, and didn’t ‘end up like this’ until she was 87. In their book ‘Younger Next Year, Dr Henry Lodge and Chris Crowley, state that over fifty percent of all illness and injuries in the last third of life can be eliminated by changing your lifestyle. And they offer the tantalizing prospect of turning back your biological clock, and living like you are 50 until you are 80 and beyond. The U.S. Surgeon General's Report on Physical Activity and Health, states that inactive people are nearly twice as likely to develop heart disease as those who are more active. Exercise, nutrition, and involvement with others are the key to staying strong, energetic, and healthy as you get older. Leading an active lifestyle is one of the healthiest things older people can do. Exercise can prevent or delay many chronic conditions, and even reverse some of the symptoms of ageing. Regular moderate physical activity can help manage stress and improve your mood. If you Google Senior Healthcare, the first few pages will give you information on nursing homes, assisted living aids, and elderly home care. Older adults will wish to shorten the time of failing health, when such services will be necessary. Turning sixty can be a fraught time, especially if it coincides with retirement. How you think about aging may be the most critical aspect of Senior Healthcare. How old are you? I deliberately posed the question ‘how old are you’, rather than what age are you? I want to reveal your attitude towards ageing, rather than your actual age. Growing older does not necessarily indicate bad news, and nobody dies from old age! What word(s) do you use to describe your life stage? How about senior, senior citizen, older adult, or elderly? You have to practice a healthy lifestyle to avoid most of the conditions that cause you to look and feel old. Seniors have their own responsibilities to remain as fit and healthy as they can, which will greatly enhance the quality of their lives in old age. This includes staying active, not smoking, watching your weight and keeping alcohol consumption at a moderate level. 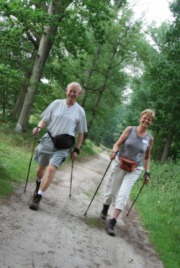 Follow this link to read how exercise is beneficial for Senior Healthcare. Diet and nutrition is central to Senior Healthcare. Felicity Dryer has written ‘Super Food Super Guide for Super Seniors,’ which discusses how twenty different super foods provide the body with powerful nutrients to facilitate healthy ageing.